The Sunset Harbor Play System is shown in primary colors and available in any color of your choice. The structure comes with all equipment as pictured including a double bump slide, single wave slide, pod climber, horizontal ladder, and more. Although the Sunset Harbor Play System is basic in design, it packs a punch with price, color, and quality. The structure is suitable for any public playground. The 3.5-inch heavy-duty upright support posts are galvanized before colored as per your specifications. A clamp system is used to assemble panels and decks to the posts. Request the Grays Harbor Play System today from AAA State of Play! 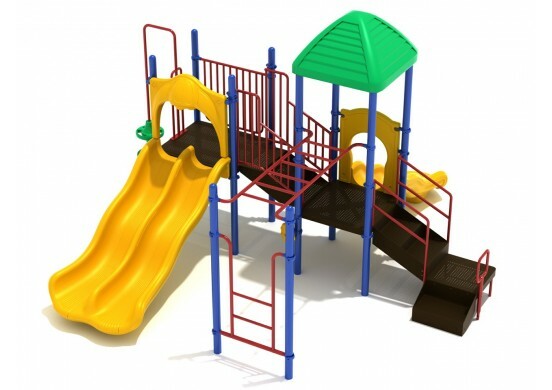 The Sunset Harbor Play System is shown in primary colors and available in any color of your choice. 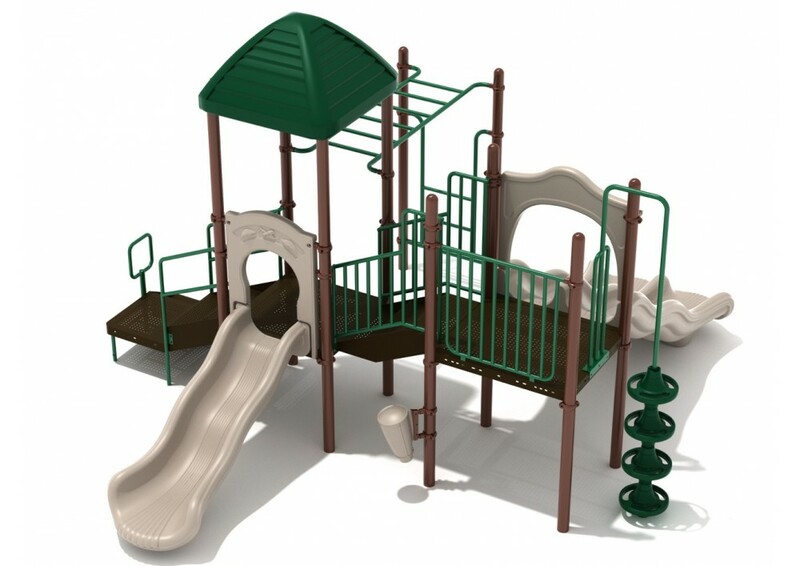 The structure comes with all equipment as pictured including a double bump slide, single wave slide, pod climber, horizontal ladder, and more. 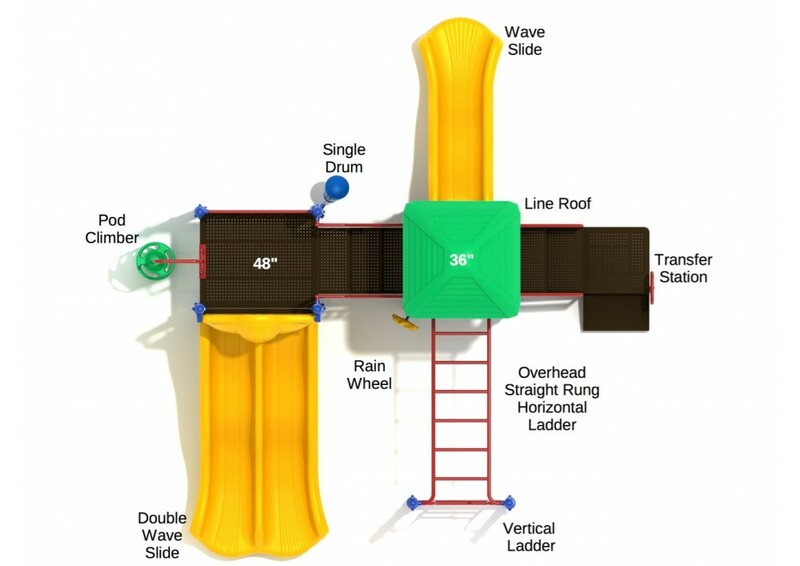 Play Set Dimensions – 19' 1" x 20' 5"
Safety Zone – 31' 1" x 32' 5"
Critical Fall Height – 48"